Wearing sunglasses means having a bag to put them in when we don't need them anymore. 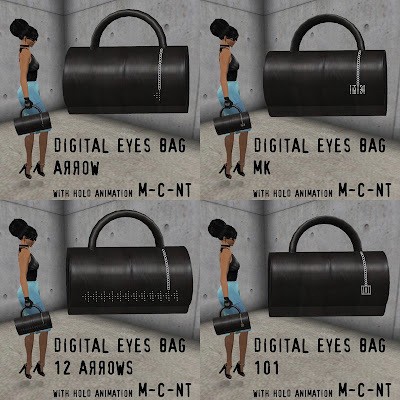 This is why Digital Eyes has made a serie of bags assorted to the sunglasses, in black leather and tiny pearls. The bags have a hold animation so you won't hit the other avatars by mistake with your bags.